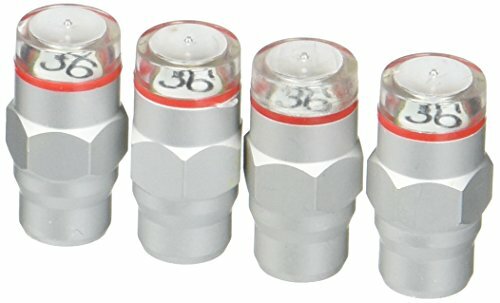 Bell Automotive's Monkey Grip Pressure Indicator Valve Caps are designed to reduce tire wear, improve safety and control, and provide a reliable solution for monitoring tire pressure. Green indicator system tells level of proper tire inflation. For use on 36 PSI recommended pressure tires. If you have any questions about this product by Bell Automotive, contact us by completing and submitting the form below. If you are looking for a specif part number, please include it with your message.